Having raced back to back road and cyclocross seasons for the past 10 years, BrittLee has raced her bike across the U.S., in Canada and in Europe. BrittLee has spent her recent road seasons pushing her limits in high level criteriums and Pro Road Tour/UCI road races. With a love of punchy climbs and sprinting, along with the help of her teammates, she has landed on podiums at USA Crits Speedweek, Tour of America’s Dairyland and multiple UCI cyclocross podiums. In 2018 she looks forward to supporting the team on and off the race course; affirming the team's presence at the elite and national level while also making the magic happen for the team behind the scenes. A native New Yorker, a designer and our Team Manager/ Creative Director. 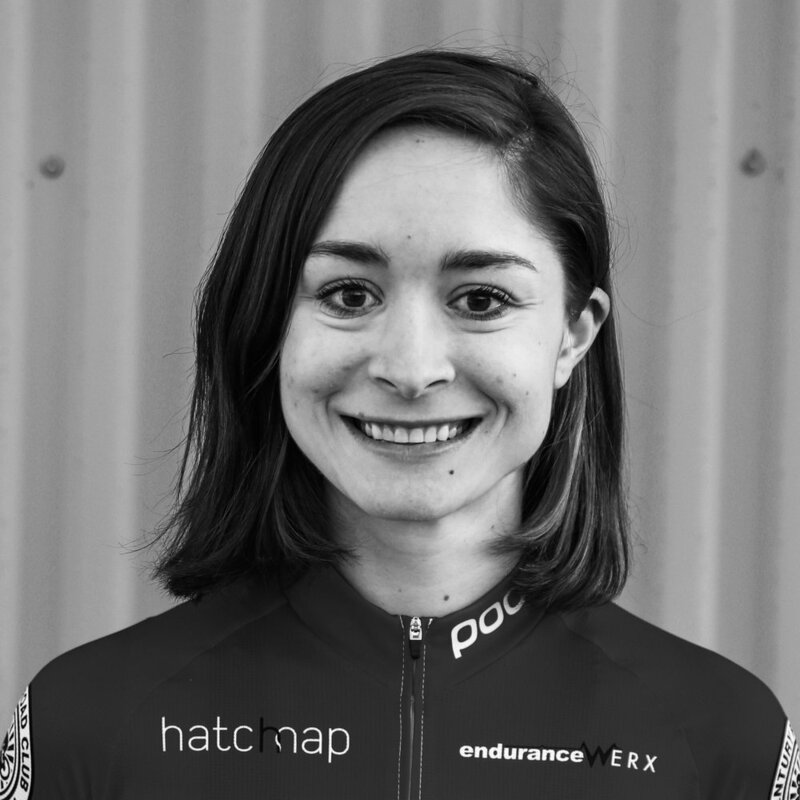 Jessica competed with the Australian Development Team for a number of years and has raced two seasons in the US to date. In 2016 Jessica came away with the young rider jersey for USA crits series also 1st under 23 in the Australian criterium championships and 2nd under 23 in the road race. She is currently racing in the elite category. Last year she raced with Colavita Bianchi. Jessica also achieved a number of top ten finishes within the 2017 season and wishes to continue the momentum into 2018. This year is Jessica is looking forward to having a successful race season. She also studies Health Science and has completed a certificate in personal training. Daphne Karagianis is a category 1 road racer from Chicago, IL. She got her start on the velodrome and discovered her love for road and criterium racing shortly after. Having swept all Illinois Championship titles, she set her goals higher and over the past few years has focused on UCI stage races. When not racing her bike or training, Daphne works as a freelance designer, having worked on the Obama for America campaign and for some of the most prestigious design firms. She’s also the co-founder and team manager for Chicago Women’s Elite Cycling—a non-profit organization designed to support and develop female cyclists in the Chicagoland area. At the end of the day she plays the role of cat mom to two exuberant felines, Elliot and Japan. Kristen has been racing bikes since 2012 and dabbled in all sorts of cycling disciplines including road, ultradistance mountain biking and completing Tour Divide in 2013, cyclocross, short track and cross country mountain bike. While she stretched her wings in her first season on the national circuit in 2016 her major accomplishments became 4th overall in the Intelligentsia Cup powered by SRAM, top 10 at Professional Road Tour (PRT) Goose Island Grand Prix, top 15 at D1 Collegiate Road and Criterium National Championships, and 7th in GC at Green Mountain Stage Race.Kristen is a Registered Dietitian Nutritionist specializing in sports nutrition and holds a private practice nutrition counseling business as well as a coach for cyclists of various disciplines with Red Kite Coaching. Cynthia has been racing on the road since 2014. She loves a flat technical criterium and can hold her own in a hilly road race. Cynthia is from Lexington, Virginia. By day she works for BikeFlights and by night she rides mountain bikes with her husband. She won the category 2 leaders jersey at the Tour of America’s Dairyland in 2017 and numerous top 10s throughout the season. She has been sharpening her finishing skills and is ready for whatever 2018 brings! Nicole is entering her 6th year of cycling. She comes from Minnesota and spent the 2015 season racing with ISCorp p/b Smart Choice MRI and the 2016 season as a "professional freelance cyclist", guest riding with several different teams at stage races and crits around the country. Her biggest cycling accomplishment was at the end of the 2015-16 cyclocross season, where Nicole won the singlespeed National Championships in Asheville, NC. Asheville is also where Nicole likes to spend as much time as possible, staying and training at Camp McKenzie every spring. Nicole is an aggressive, fearless racer whose athletic background comes from a lifetime of hockey and collegiate lacrosse. Outside of cycling, Nicole is a freelance graphic designer, web designer, and web developer. She is looking forward to this season with her new team mates and is excited to see what we can accomplish. Kirstie is a road and track cyclist from New Zealand, she currently rides in the National Track Cycling team and races on the road during the northern hemisphere summer. Kirstie did a ‘talent transfer’ from rowing to cycling with High Performance Sport NZ four years ago and has never looked back. Cycling has taken her to The Track World Champs where she won Bronze in the Team Pursuit. Kirstie has raced two seasons for road teams in Europe for a Belgian team and a Dutch team and is now looking forward to racing her second road season in the USA. Outside of sport, she is an ambassador for Endometriosis New Zealand, a volunteer at Cycle Action Network NZ and is pursuing a Master of Science in Psychology at Massey University.